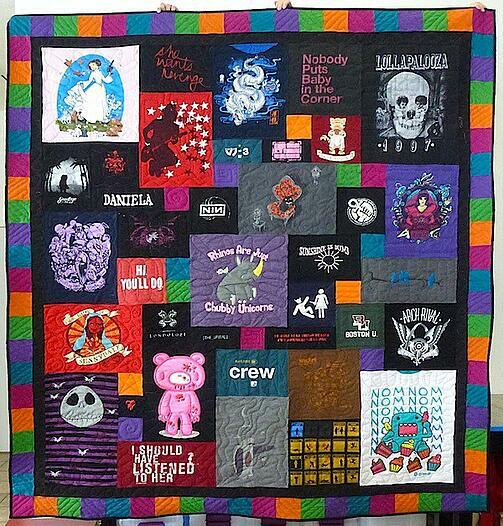 Too Cool T-shirt Quilts has been in the business of making T-shirt quilts since 1992. In that time, we have gained many insights into having a T-shirt quilt made from your T-shirts. Below are links to the a number of buying and informationtion guides we have written for you. We hope the information we have gathered helps you decide what type of T-shirt quilt to have made from your T-shirts. We hope it is Too Cool! You can also visit our Resource page for more information.